I'm short on time this morning, so I'm cheating and linking to some other blogs for your reading pleasure. I came across two posts this morning on facing your fears, and they're worth a read. First up, a beauty by Craig Harper all about feeling like a fake. 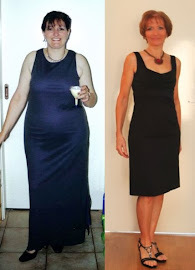 Then there's this one by inspirational blogger Angela, who's lost 40kg following Michelle Bridges 12-week body transformation program. I was going to stick to the topic of facing your fears with my links, but while cruising around the net, I came across this post from Susan Niebur which wasn't what I was looking for at all, but should be compulsory reading for anyone who's suffering from a bad case of "it's not fair". Next time I feel like whinging about some minor annoyance, I'll try to remember this. If you don't have time to check them all out, please read that last one. You won't be sorry. Gotta fly - have a good one! Wonderful links. Thanks for taking the time to let us know about them.